<br />Thank you for taking the time to speak to us today, for those who don’t know you could you tell us a little about yourself? <br /><br />First of all, thanks for the interview! <br /><br />I'm Guillaume Veer, a Belgian guy living in France. Before working as a narrative designer, I have been modding for approximately 6 years here on the Nexus. I first tried my hand with a handful of small mods before moving to a larger project called "Autumn Leaves" - which got me enough coverage to transmogrify my sad, sad crappy career into the one of a narrative designer. 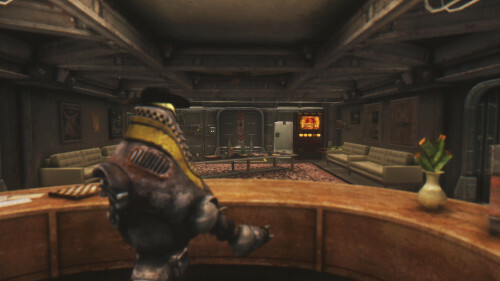 <br /><br /><br />The culmination of your modding exploits was the release of Autumn Leaves for Fallout New Vegas. It’s a complex weaving murder mystery that was so well received, even Bethesda themselves may have taken inspiration from it. Looking back at it now, what are your thoughts about that project? <br /><br />It was a four-years-long exercise in tightrope-walking. Aside from a few voice actors and beta testers, I made Autumn Leaves alone, which left me with a truckload of work and tough calls to make. <br /><br />Setting a right scope for Autumn Leaves was the first and best decision I made, in retrospect. (And I beg other modders to do the same, lest they abandon their most promising work.) I wanted Autumn Leaves to keep the player entertained throughout the whole story and I didn't want to waste my energy chasing too many rabbits - so I kept the Autumn Leaves' scope rather small. Keep the intrigue to one secluded place: a forsaken, centuries-old library with an awful lot of secrets to hide - no fighting, no dungeons, no tedious filler fetch-quests. Only quirky dialogues, careful investigations and environmental story-telling. <br /><br />I wanted to focus on that aspect and that aspect alone. Keeping the scope tight was what allowed me to do it, even if it took me pretty much all of my time of after-work hours. <br />A lot of things, actually. <br />First of all, there was a sense of gratitude. 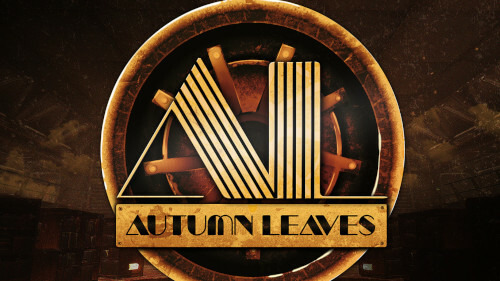 When I decided to make Autumn Leaves, I had been nurtured with a lot of excellent game stories (Planescape: Torment, 9 Doors 9 Persons 9 Hours, Virtue's Last Reward, King of Dragon Pass, to name a few) and I felt the urge to... give the love back. I felt that it was my turn to come up with something. 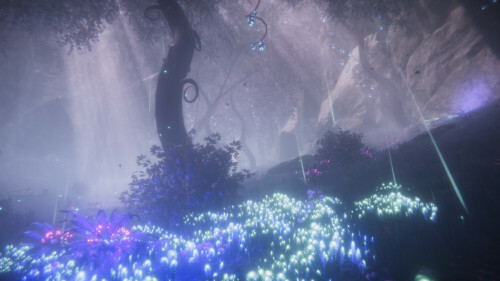 <br />But that wasn't all, there was also a bit of frustration involved: at the time, branching narratives hadn't yet made their big come back to the indie scene - nor in the triple-A scene, for that matter. I wanted to honour the genre and "pay my dues", somehow. Again, gratitude involved. So there I was, building up with some creative energy, ruminating ideas, rolling around but never crossing the line. <br />Then there was the trigger: it was an interview of Chris Avellone, who was still working at Obsidian at the time. In that interview, he was adamantly advocating for people to get their hands on modding tools and try to come with something on their own. He was citing modders who made it as a pro (Dave Oshry, if I'm correct) to support his claims. It was basically the nudge that made me fall on the other side. <br />I wanted to make something other players would play - and enjoy. <br /><br /><br />You have said that Autumn Leaves was key in getting you a job at Midgar Studio. How did all that come about? <br />It's the usual combo of luck and persistence. But also a bit of preparation. Keep in mind that the following is what worked for me, but my case is my case - and your case is your own. **During the four years of Autumn Leaves' development, I managed its PR. Creating Tumblr & Twitter accounts, publishing my work as it went, making some jokes here and there. By interacting with people and making a lulzy﻿ or analytic post﻿ about my mod, I gathered some followers and built up awareness. It wasn't much in terms of numbers (1400 followers approximately) but I managed to get the interest of several accounts with a large number of followers: game journalists on Twitter and big Fallout fan accounts on Tumblr. <br /><br />Since I'm a freelance, I did several small assignments for other studios - but the gist of it is: once you get there, it gets easier to stay there. 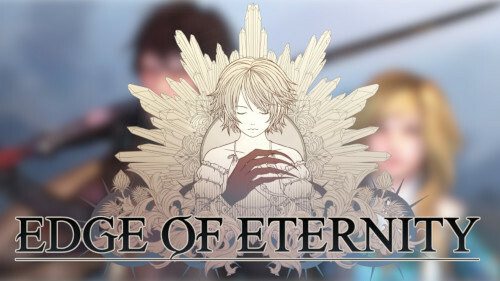 <br /><br />Edge of Eternity, the game you are working on, what can you tell us about that? 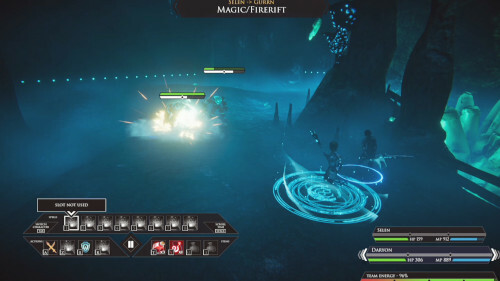 <br /><br />The same kind of idea is also present within several sidequests and semi-procedural encounters: you will be able to make choices which will affect the outcome of the quest, the reward and even - in some cases - the environment. <br /><br /><br />As a Narrative Designer, what does your contribution to the game development process entail? <br /><br />I'm both a writer and narrative designer, which basically anoints me as the "Holy Guardian of Everything Written Down In The Game." 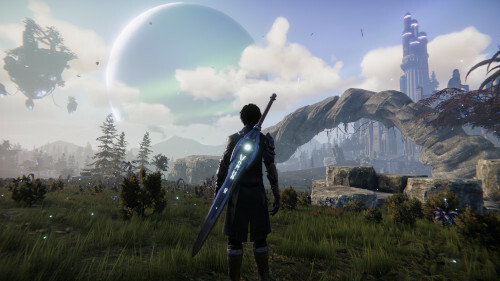 It goes from the lore - both what is shown and *not* shown during the game - as well as the dialogues, the quest design, the overarching scenarios, the personal story arcs, the environmental storytelling. Basically, anything that includes words. <br />That is not to say I'm Writer Almighty on Top of Thunderfeather Mountain - it's quite the contrary, actually. A video game remains a game above all. The gameplay must remain paramount to the experience - so I'm working closely with everyone in the studio to make sure that the player experience - and the gameplay - remains on top of everything. <br />One of my main go-to-guys is the Game Designer, for instance: I usually send him drafts for quests and wait for his commentary over what works within the frame of the game and what doesn't - then write the quests properly. Every quest has to be thought in its proper referential: the game itself. If a quest doesn't take advantage of the core gameplay, then it's probably not a good quest. <br />As long as the consistency of the plot isn't threatened, it's far easier to rewrite something than to change an entire level's layout, actually. <br /><br />We will be basically releasing the overwhelming majority of the tools we are using to develop the game in a toolset named "The Eternal Forge." As it is, it is somehow a mix between Unity (which it's an extension of), RPG Maker and Bethesda's Creation Kit. Create your own standalone adventure by changing the beginning of the game to your custom map and completely create a different story with new actors, NPCs, etc. <br /><br />If you want to throw all of Edge of Eternity through the window and create another world altogether, with its own setting, its own plot, its own characters and followers, its own items, skills... you can. <br /><br />Actually, we just created a topic here on the Nexus forums, for everyone interested. <br /><br /><br />What kind of mods do you hope to see? <br /><br />Everyone grows up with their own*predisposition, their own preferences, their own visions. I often play mods not only to have a continuation of the original*experience*but to have access to "other people's world." <br /><br />I have always seen modding as an invitation. People who make quests, dungeon or house mods are basically inviting other players*into*their home. "Here is how I see things, here is what I like." It's like entering another dimension, another space. It's a bit fascinating. I got this feeling the first time by playing an heavily-modded Morrowind. At*first,*I grumbled that everything wasn't respecting the canon, then I became very interested in visiting other people's turf. <br /><br />I expect the same with Edge of Eternity. I hope they will make themselves at home in*Heryon, and that they will do so in many unexpected ways. <br /><br />And one last thing that will help you get there: a community to help you, like the Nexus. If it wasn't for all of those people on the Nexus publishing tutorials on YouTube or answering questions on the forums, I wouldn't be where I am today. So, many kudos to them. In general, many kudos to a lot of people who helped me get there. <br /><br />And kudos for the Nexus for simply - you know - being there.